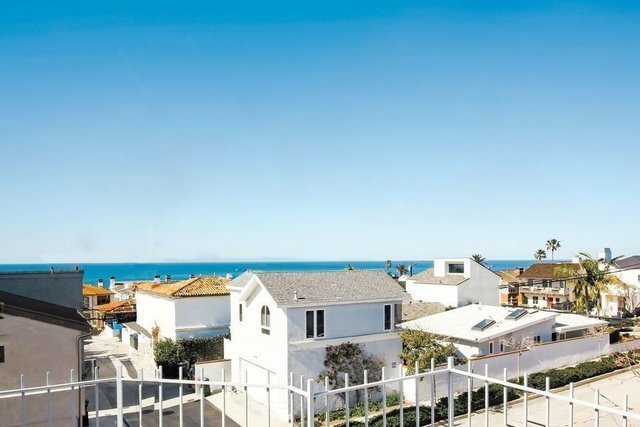 This sprawling 4-bedroom single family residence is positioned on a supreme corner lot of the Village with one short block to the beach and ocean views from the front patio. The rooftop deck also supplies panoramic views of the ocean, Catalina, Fashion Island and snow-capped mountains. With an open floorplan, master wing and guest quarters, this home is an exciting scenario for the creative. Live the Village lifestyle with proximity to renown beaches, shopping, and dining.